Synopsis: The seven-issue comics adaptation of the Oscar-winning movie by Quentin Tarantino is now collected in hardcover! 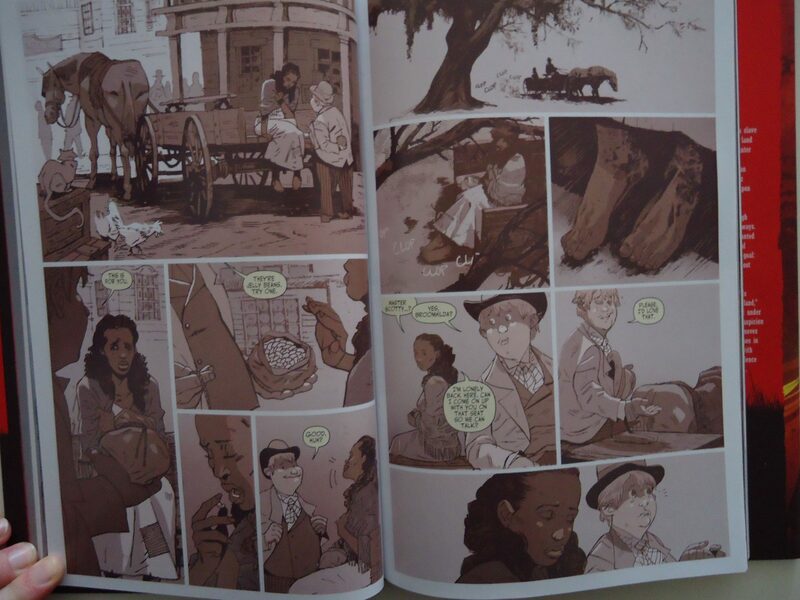 Don’t miss this blood-soaked tale of a bounty-hunting dentist and his partner Django, a recently freed slave, as they search the post-Civil War South for Django’s wife! I saw Django Unchained on the television a few days back and remembered I got this one in my collection. So I gave it a fresh read and wanted to share my review with you guys here. Django Unchained is originally a Quentin Tarantino movie from 2012, starring Jamie Fox, Christoph Waltz and Leonardo DiCaprio. Won 2 Oscars and over 50 other awards. In 2013, Django Unchained by Vertigo was released. If you liked the movie, should you consider buying this comic? Tarantino movies are smart, witty and pretty violent. 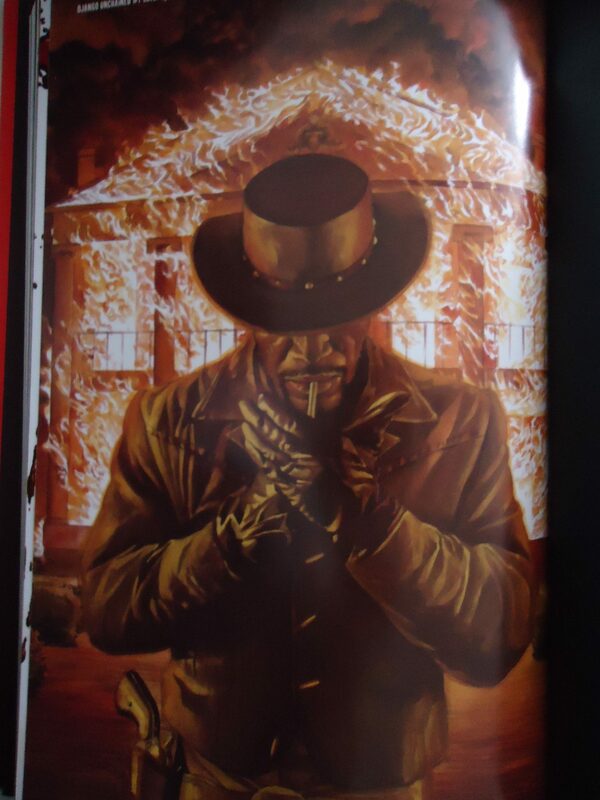 This Django Unchained graphic novel is based on the first draft of the movie script. So basically, it is not so straightforward if you saw the movie. 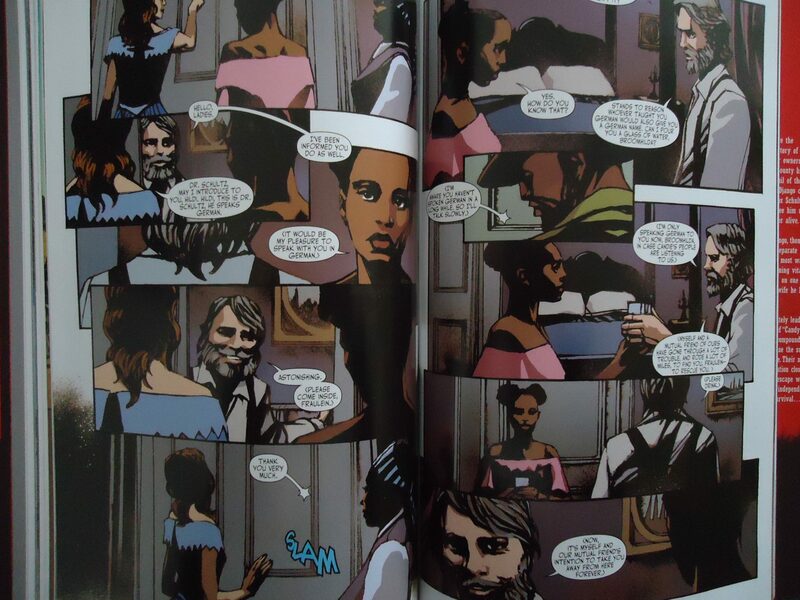 Some additional scenes that didn’t make into the movie are here in the comic, and vice-versa. For me it is better to have an additional insight into the story, than for the comic adaptation to follow the movie story blindly, so this is a plus on the story side. 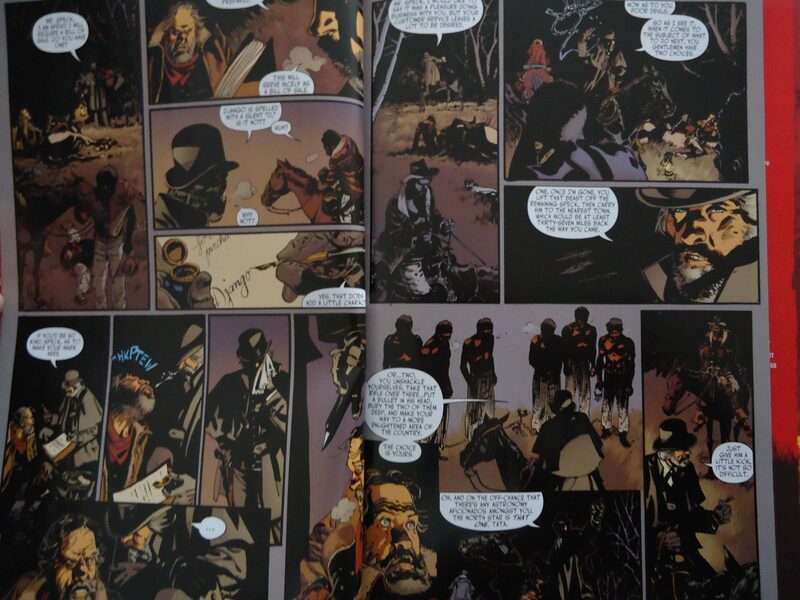 Regarding the artwork, Guera, Zezelj, Latour and Cowan did a great job. Each of them caught the atmosphere of the wild west, and followed the story with their artwork. Guera stands out the most for me, but considering his past work, it’s no surprise that he got into the atmosphere the most. However, I mind that there are different styles in each part they are illustrating, on this being a short-limited series, didn’t make to much sense to me on that approach. Since this is the deluxe edition in hardcover, it collects all the comics from the series, plus additional sketches and alternative covers. For collectors this a treat, and worth the additional money from the standard trade. 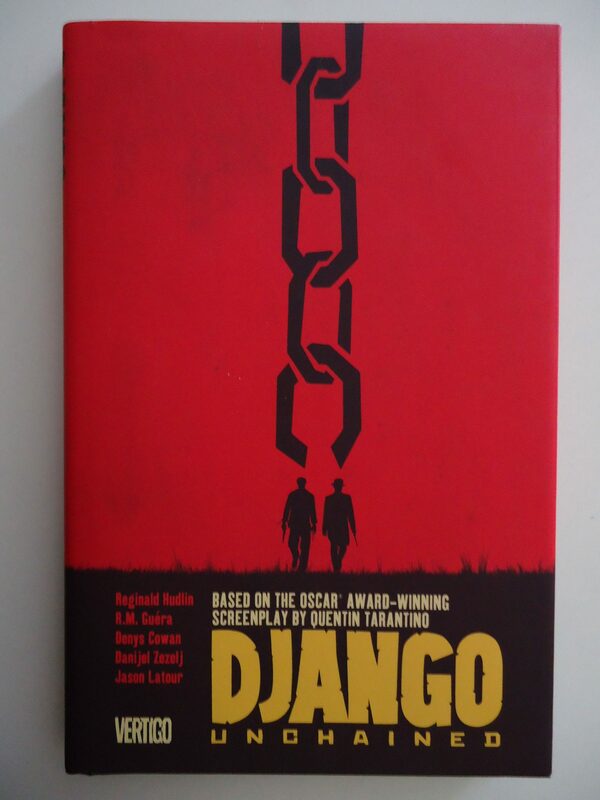 Conclusion: good buy if you are a Tarantino/Django/western fan. A solid 8/10.